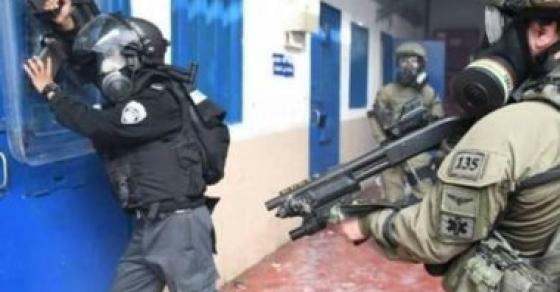 Dozens of Israeli soldiers attacked, on Monday evening, dozens of Palestinian detainees in Ofer Israeli prison, near Ramallah in the central West Bank, and fired many rubber-coated steel bullets, gas bombs, and concussion grenades. 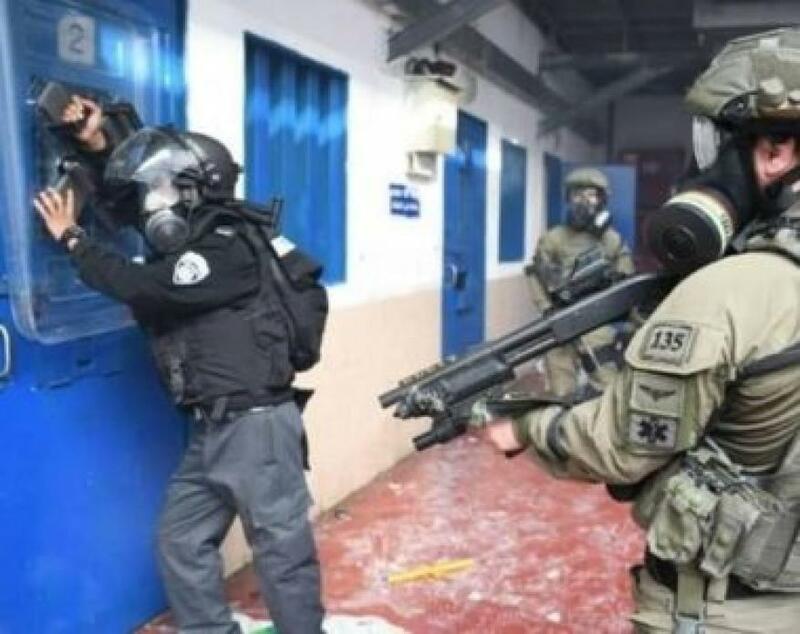 They also hit the detainees with batons and used military dogs to attack them, wounding more than 100 detainees. Most of the wounded detainees were later returned to the prison, while around twenty of them remained hospitalized fur further treatment.